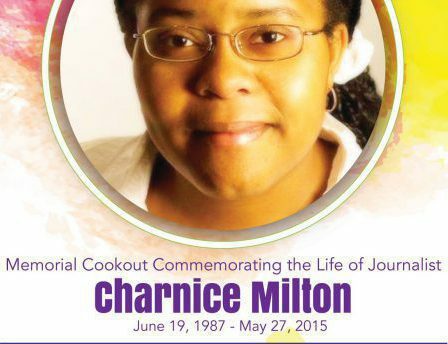 The Charnice Milton Community Bookstore, honoring the memorial of the slain journalist (6/19/87– 5/27/15), began at We Act Radio studios in Historic Anacostia. The project collects and disseminates books and donations to support literacy events, providing free books to young readers. Busboys and Poets-Anacostia, just down the street, began selling new books in the name of CMCB in early March. Used book sales begin there on May 27, 2019. As we continue to grow, CMCB holds periodic events, on site and around the community, to provide local youth with books to build their home libraries. In addition, we sell adult books locally for nominal fees and are working toward an on-line collection to sell donated adult books at market rate in support of our local literacy efforts. The new collaboration with BBP-Anacostia continues to evolve. Stay tuned. Stop by We Act Radio, 1918 Martin Luther King Jr. Avenue, SE, any Wednesday, from 5:30 – 8:30 p.m. or arrange another time to donate books. Visit Busboys and Poets-Anacostia, 2004 MLK Ave SE, seven days and nights a week.